Choosing the right wedding cake is a tricky task during your wedding planning. There are a few things to consider, including the design, size the flavor(s) and, of course, your wedding budget. The wedding cake price is calculated per slice. The price range of a whole wedding cake is from US $450 to $2,000. 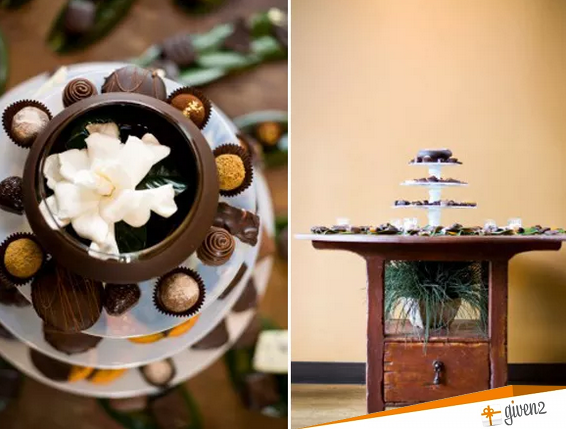 The couples that don’t want to have the traditional three-tiers can consider doing different desserts arranged on a staggered cake stand. 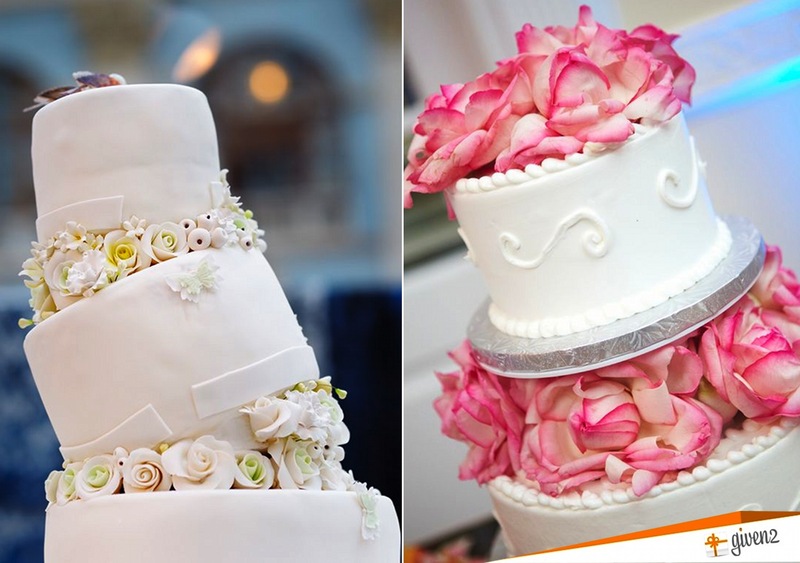 Here are some wedding cake ideas to help you decide the best wedding cake for you. 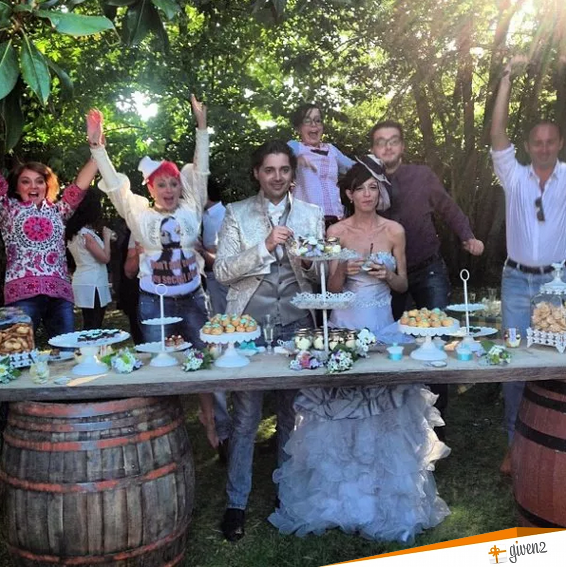 Whether you are going to have a casual wedding or a formal black-tie reception, the classic multiple tiers always stand out at wedding celebrations. Dress up layers with details like petals, leaves, flowers, butterflies and pearls. 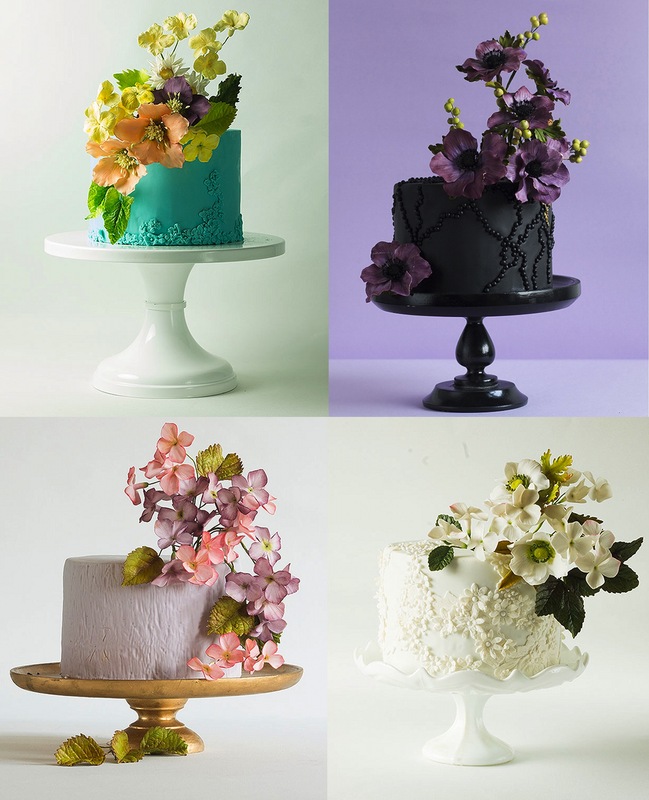 For a modern-style reception, consider marbleized or painted cakes. Usually a three tiers can serve from 75 to 200 guests, but of course this depends on the size of the cake. The most popular flavors are red velvet, chocolate, lemon, and vanilla white chocolate with raspberry. A stunning wedding cake doesn’t need multiple tiers to stand out. For a small wedding, a multi-tiered cake isn’t always necessary. A single-tier cake can still be impactful and also a way to cut down on cost. For summertime weddings, instead of traditional buttercream filling you could consider a fresh in-season berries cream. For winter and fall celebrations, fill layers with seasonal fruits like apples and pears. Naked cakes are perfect for rustic weddings. Instead of frosting the outside of the cake with buttercream, the new trend is to leave layers exposed. 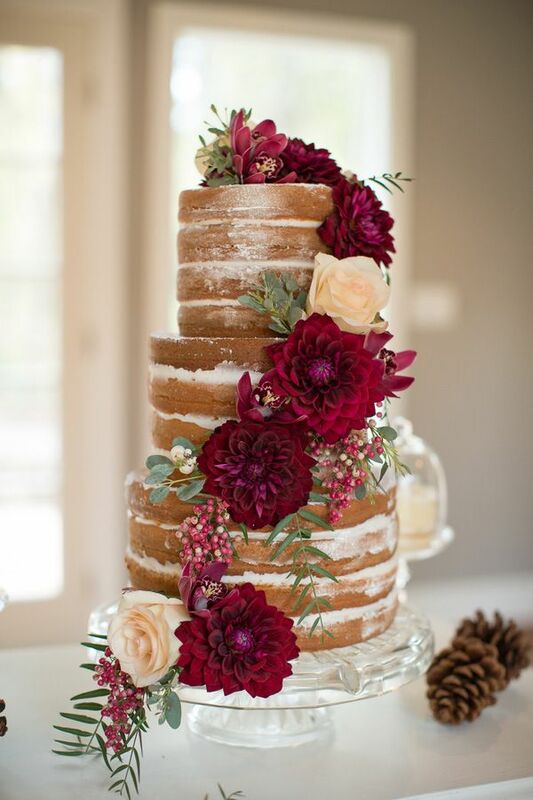 Usually bakers garnish the layers using natural elements such as fresh flowers and fruits. An original truffle cake is a great option for refined palates. The truffles are filled with a creamy ganache rolled in cocoa powders. The tiers beneath the truffle layer can be made by using your favorite flavors. 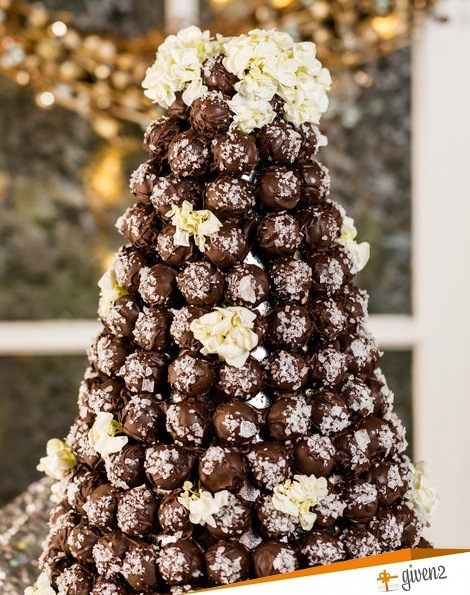 If you want a traditional wedding cake, a great alternative is to include a single-layered cake at the top of the stand and fill the bottom layers with assorted truffles. Love cupcakes? If you are looking for an alternative wedding cake a cupcake tree is perfect for every type of reception. You may include a small size cake to cut at the top of the tower, and fill the lower layers with assorted artisanal flavors, so that guests can pick and choose their favorites! Fun alternatives to cupcakes are colorful macaroons or doughnut towers with assorted flavors. Can’t decide on your wedding cake? You could do an assortment of miniature pies arranged on a staggered cake stand. Having different miniature pies in different flavors and colors will add a decorative touch to your dessert table. What is your favorite wedding cake?